The need for more vehicles has been a major concern in the San Pedro Police Department (SPPD). With this in mind, the Ministry of Tourism, Culture and Civil Aviation donated a 2008 Tacoma Toyota four door pickup to the SPPD. The much needed vehicle will be officially handed over on Saturday June 6th in a short ceremony with Area Representative and Minister of Tourism, Culture and Civil Aviation, Honorable Manuel Heredia Jr. Present Assistant Superintendent and Acting Officer in charge, Henry Jemmott welcomes the new attachment to their vehicular fleet. “It has been a long time needed for the department, especially in San Pedro. With this new vehicle we will go a long way in assisting and responding to the needs of the community within San Pedro,” said Jemmott. “We hope that this donation helps the police operate more smoothly. As the Area Representative, I want San Pedro to develop safely and to do that; we need to have the resources to support it. For a long time our police have worked with very little resources. I know that with the addition of these new vehicles, we will see a reduction in crime and have a safer island,” said Heredia. Furthermore, Jemmott said that during the official handing over ceremony, there will also be two additional vehicles handed over to the force. 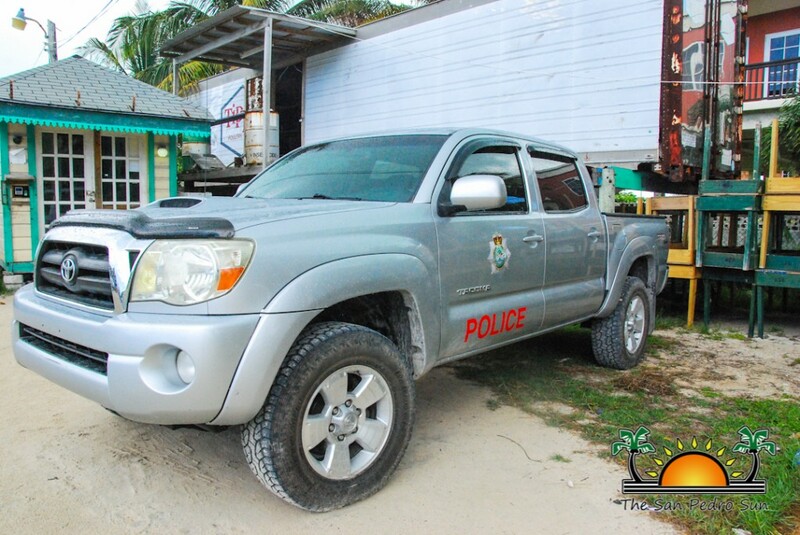 “We are working on getting two ATV’s, which are being facilitated by BOAZ Golf Cart Rental and financed by the Ministry of National Security, that will be handed over to us on Saturday as well,” stated Jemmott. He is also very positive that this upgrade will alleviate the cry of both the community and the SPPD for added resources. Jemmott pledged that the donation of these vehicles will be used for the assistance of the San Pedro Community in promoting community safety. In a previous interview with The San Pedro Sun, Mayor Daniel Guerrero stated that the San Pedro Town Council along with the business community have acquired three vehicles which will soon be handed over to the SPPD as well. “We already have three new pickups that will be available for the force soon. This is a continuation of our support to the police along with the business community who is always willing to contribute for such a worthy cause. Just the same way we did on our first term, during this second term we want to do even more so San Pedro is a safer place.” Guerrero also asked the community to work together and cooperate with the police whenever is necessary. The SPPD would like to thank the Ministry of National Security and the Ministry of Tourism, Culture and Civil Aviation for their generous donation.